In a Squirrel Hill living room Monday evening, it didn’t take long for someone to ask Turahn Jenkins about last week’s trial of former East Pittsburgh police officer Michael Rosfeld. How would he have handled the case differently if he were elected Allegheny County District Attorney? “I would’ve tried the case,” Jenkins said to about two dozen supporters and potential supporters at a private fundraiser. By that, he meant he himself would have argued the case in court against Rosfeld who fatally shot 17-year-old Antwon Rose II on June 19. Allegheny County District Attorney Stephen Zappala Jr., who has held the office since 1998, assigned the case to an assistant district attorney. “I would have been the trial attorney, I wouldn't have handed it off to somebody. ...He doesn't have the trial experience,” Jenkins said of Zappala. County election records show Zappala hasn’t faced a primary opponent in his last three election campaigns. Jenkins, who is 41 and currently works as a criminal defense attorney, announced his candidacy on July 2. The momentum of his campaign was derailed four days later when his personal belief that homosexuality is a sin surfaced. The campaign has been quieter since but this week’s fundraiser, days after a verdict that prompted protests throughout the city, Jenkins found the opportunity to comment on how he would have handled Rosfeld’s prosecution. He said he would have called an expert on police use of force to testify. In last week’s trial, defense attorney Patrick Thomassey called a use-of-force expert to testify, but the prosecution did not. “What kind of message does that send?” Jenkins said. He also said Rosfeld shouldn’t have been released on bond after being charged with criminal homicide.. Others charged with criminal homicide aren’t let out, Jenkins said. Erin McClelland, a political strategist working on Zappala’s reelection campaign, said it would have been improper for the district attorney to “grandstand” and try the case himself. That would have caused the other cases in the district attorney’s office to suffer, she said. “Apparently our opponent has no comprehension of what it takes to run a DA’s office of this magnitude,” McClelland said. She added that prosecutors had tried to recruit their own use-of-force expert but couldn’t find anyone willing to “step up,” which she said speaks to a “bigger systemic problem” of holding police officers accountable. McClelland also said it was a judge who allowed Rosfeld out on bond before the trial, not the district attorney’s office. 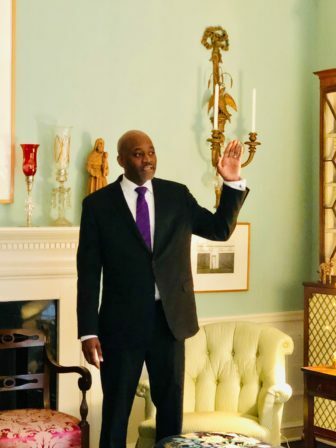 Jenkins has sought to portray himself as a reform candidate who would work to make the criminal justice system in Allegheny County more fair and equitable. He praised Philadelphia DA Larry Krasner, who has made a name for himself as a reformer since taking office last year. 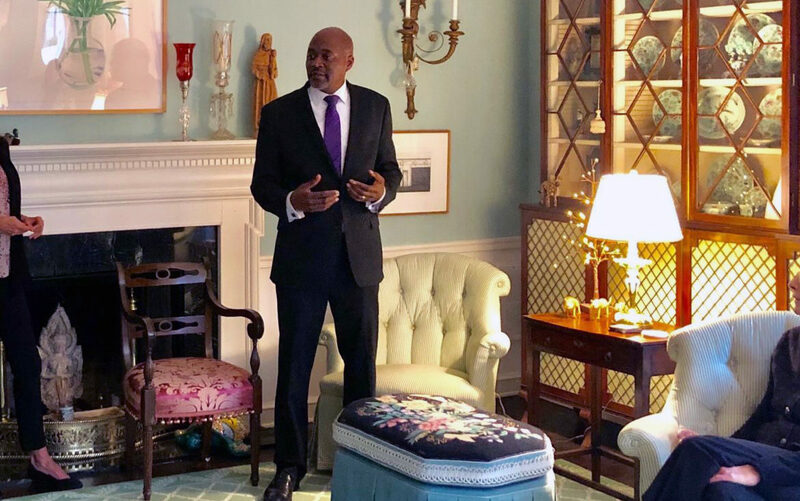 Jenkins views him as a “prototype for criminal justice reform and reform-minded prosecutors” and praised his practice of ending cash bail for most non-violent crimes. Jenkins criticized Zappala for overcharging defendants in an effort to seek plea deals. He said he would stop that practice. Jenkins also said he would work to divert people from the criminal justice system in Allegheny County. This strategy would include more community outreach and staffing his office with social workers and others who can help those who find themselves ensnared in the criminal justice system. He said he doesn’t want someone’s first encounter with the DA’s office to be when they are charged with a crime. He stressed the importance of proactive diversion because criminal convictions can stay with a person for life, even if they have their record expunged. Jenkins cited his record in the Allegheny County Public Defender’s office to show that he’s been proactive in lessening the charges people face and the time they serve in jail. As a supervisor in the public defender’s office, he said his “first order of business” was to have his attorneys examine everyone who was housed in the Allegheny County Jail and file motions to have people released. PublicSource followed up with Jenkins’ campaign to clarify the criteria used to deem which people could be eligible for release. A campaign representative did not respond prior to publication. Jenkins held up The Bronx Defenders, a nonprofit public defenders organization, as a model he’d like to emulate in Allegheny County. An attendee of the fundraising event asked Jenkins about the political endorsements he is seeking. Jenkins responded that he was hoping to secure an endorsement from the Fraternal Order of Police, Fort Pitt Lodge No. 1, the union that represents police officers in Pittsburgh. Jenkins later clarified that while he’s open to entertain all endorsements, he is “not for sale” and has a personal “code” he follows when making tough decisions. Jenkins also attempted to clarify some of his past comments on LGBT issues. As the Pittsburgh Lesbian Correspondents reported in July, Jenkins stated last year that he believes homosexuality is a sin. Jenkins was asked about what he believes because he is involved with a church that has been public about its views against homosexuality. He was asked about his affiliation with that church. Kerr added that Jenkins “has missed so many opportunities to grow” since his statements were first shared publicly nearly nine months ago. 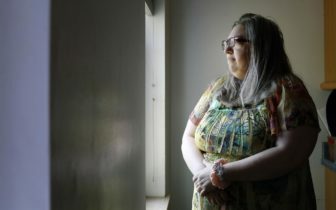 “He’s not willing to connect the dots between the belief that we are sinful and the expectation of how we’ll be treated,” Kerr said. For the May 21 primary election, the Steel City Stonewall Democrats, an LGBT group that routinely endorses candidates, endorsed Zappala rather than Jenkins. The group’s president, Jim Depoe, said on Tuesday that they endorsed Zappala because Jenkins submitted his questionnaire to be considered for endorsement too late. Jenkins’ Squirrel Hill audience received him warmly on Monday. If elected, he said he will seek justice, not only convictions.